With the stock market near all-time highs, the appeal of day trading is on the rise. Maybe you dabble in the stock market and have had some success. Do you think about quitting your day job and trading stocks for a living? Before you make that leap, consider whether you have what it takes. You might just save yourself from some grief. Are You Ready for Fierce Competition? When you buy or sell a stock, the person on the other end of that transaction is making the opposite bet. Sometimes that person is a professional with years of experience who trades stocks for a living. They probably have much more information about the stock than you do. They probably are better capitalized than you. They are your competition. If your competition is more experienced than you, better trained, and possibly better capitalized, how can you compete? Luckily, you can, but you need an edge. Are you an expert in a specific industry? For example, perhaps you have worked in pharmaceutical sales and you know about the biotech industry. Before you get too confident, however, realistically evaluate how much of an edge your experience provides. Your knowledge might be too specialized (or too general). Maybe you know a lot about the biochemistry of antidepressants, but you have limited knowledge of the business strategies of the companies that compete in that market. When it comes to stock trading, this information might be more important than a deep knowledge of biochemistry. Even deep knowledge of an industry might not be enough to give you an edge. Good timing is critical to successful investing. You might be right about a stock, but you invest at the wrong time, suffer heavy losses, and then capitulate and sell the stock, right before it is discovered by the market. A trading system can help you avoid this problem. Maybe your trading system gives you an edge. Almost all successful traders use a trading system, but just having a system is not enough. It must be robust so that it works equally well in a variety of market environments. You might create a system that works well when markets are rising, but what happens when markets are falling? You must back test your system against earlier market periods to see how it would have performed. Your system must also be easy to carry out. Many traders develop systems and then fail to follow them consistently, often leading to their downfall. Do You Have a System that Protects Your Capital? The most important feature of your trading system is its ability to protect your capital. You must have a way to limit losses, because you can’t let a string of bad trades put you out of business. Most traders do this by limiting the amount of money that they put at risk in any one trade. Let’s say your number is 4% of your capital. That means that if your total trading capital is 500,000, you can’t risk any more than 20,000 on a single trade. Protecting capital is vitally important because recouping losses is more difficult when you have less capital. If you start with 500,000 and you lose 50%, you might think that to get back to even, you need a 50% gain. Actually, with only $250,000 remaining, you need to gain 100% just to get back to even. Do You Want to Stare at a Computer Screen All Day? How much of your day do you intend to spend trading? If you are obsessive, you might stay glued in front of your computer screen all day, afraid to miss a trading opportunity. This kind of behavior is a recipe for disaster. You will over trade and burn out quickly. Often, successful part-time stock traders do much worse as full-time traders because they have a harder time sticking to their system when they are watching the markets all day long. They tend to let market volatility affect their emotions. To be a successful trader, you need to execute your strategy with a stoic calmness. You can’t get excited when things go your way. Nor can you get too upset when trades go wrong. When you get emotional, you are more likely to violate your trading rules. Let’s say you have a losing stock position and it has reached the stop point where you had decided you would sell to cut your losses and protect capital. But you feel frustrated because you have had 3 losing trades in a row. Needing a winner to make you feel good again, you decide not to sell and hope for a rebound. The next day the company reports an earnings miss and the stock price falls by 20%. By not following your rules, you have incurred a much larger loss. Taking losses, in particular, is difficult for beginning traders. Many successful traders take losses on more than half of their trades. They just make sure that their losses are small and their winners are big. Finally, the key trait you need is discipline. Once you have a system in place, preferably with defined rules that you document in a trading plan, you need the discipline to follow your system. Following a system when it is working is easy. Following your system after 5 or 6 consecutive losing trades is another matter. Day trading is not easy. In fact, most day traders lose money. I hope this article has helped you decide if it is right for you. 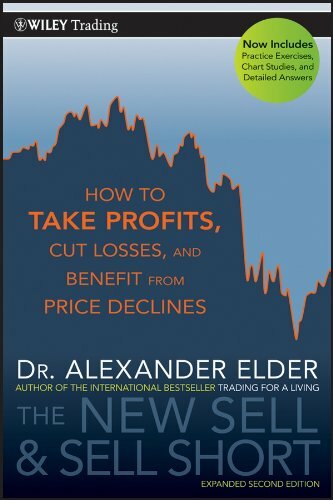 This book will help you define a trading system that works for you. 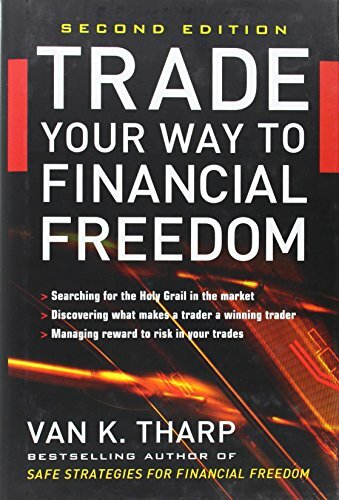 This book provides advice for how to trade both rising markets and falling markets. Douglas J. Jordan and J. David Diltz "The Profitability of Day Traders." Financial Analysts Journal. 59 (2003): 85-94.